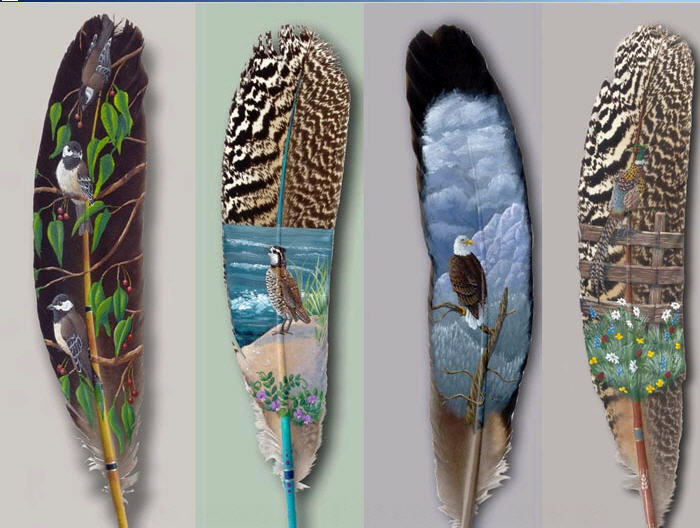 The painters of these Feathers are outstanding, but the message below these Feathers, will touch your heart. One ranger found a bird literally petrified in ashes, perched statuesquely on the ground at the base of a tree. When he gently struck it, three tiny chicks scurried from under their dead mother’s wings. She could have flown to safety but had refused to abandon her babies. Then the blaze had arrived and the heat had scorched her small body, the mother had remained steadfast... because she had been willing to die, so those under the cover of her wings would live.